This entry was posted in A tribute to the Holy Land, Interview, Βιβλίο της Σοφίας Κιόρογλου, ΔΙΑΚΡΙΣΕΙΣ/Commendations and Awards and tagged Ink Pantry. Bookmark the permalink. Congratulations to Débora Ewing. Her story “Full Moon New Year” was a finalist in the 47th Jerry Jazz Musician Short Fiction Contest and was published on their website. Visit her website for more of her writing. This thrice-yearly free contest gives prizes up to $100 for short stories that reflect the online journal’s “interests in music, social history, literature, politics, art, film, and theatre, particularly that of the counter-culture of mid-20th century America.” The next deadline will be May 31. Congratulations to David Michael McNelis. His memoir My Most Wanted Marijuana Mom: Growing Up in a Smuggling Family was recently published by Exposit Books, an independent publisher that “combines popular topics such as true crime with a serious approach.” McNelis’ book describes growing up in the 1970s with family members who went to prison for smuggling marijuana into the US when it was still illegal here. Congratulations to Sofia Kioroglou. Her debut poetry collection, Literary Journeys to the Holy Land, was published by Gramma Press in affiliation with Promachos, an NGO dedicated to the raising of public awareness about the problems of starving children in Africa and the provision of food supplies. The book is a fusion of poetry and narrative accompanied by pictures from Sinai and Israel. The images and captions transport the reader to the places where Moses received the Ten Commandments and where Jesus walked and was crucified. This edition is in the original Greek; an English version will be published in October. Congratulations to The Poet Spiel. His poem “Naked Arms” won first prize in the Colorado State Fair 2017 Poetry Competition. He kindly shares it with us here. His book Revealing Self in Pictures and Words, a collection of new and selected paintings and poems, will be released later this year. Congratulations to Rick Lupert. This month, Rothco Press published his 22nd poetry collection, Beautiful Mistakes, a travelogue of Seattle, Portland, and Twin Peaks. Rick says: “I drink coffee, I have conversations with Alexa, I search for owls in the trees, I have a Doughnut party in the hotel lobby, I dine with friends, and poets, and all is documented in these caffeinated, pie-filled, weird and beautiful poems.” Read sample poems here. Rick will be reading with poets Amber Decker and Alexis Rhone Fancher at 8:00 pm on Friday, June 8, at Beyond Baroque, 681 Venice Boulevard, Venice, CA. Dan Klefstad was the featured guest on the first episode of Guildy Pleasures, a podcast from the Rockford Writers Guild. He read a chapter from his novel-in-progress, The Guardian, and was interviewed by host Connie Kuntz. Visit his Amazon author page for his other works of fiction. Judi Francis has started a blog, Miracles Do Happen, about raising a son with a developmental disability. Lesléa Newman will be reading from her latest poetry collection, Lovely (Headmistress Press, 2018), at 2:00 pm on Wednesday, June 13, at the Amherst Senior Center, 70 Boltwood Walk, Amherst, MA. Konstantin Nicholas Rega has several poetry publications to report. “A Little Gardening” appeared in Typo Magazine, Issue 29. “Postmodern Rhapsody” appeared in Crack the Spine #235. “Weep Willow Reeds”, “Like Father, Like”, and “Heart & Soul” were published in Five:2:One. “Weep Willow Reeds” was also the poem of the day for April 18 at Every Day Poems. Gail Thomas will be reading her poetry on Friday, May 18, at Anchor House of Artists, 518 Pleasant Street, Northampton, MA, in their Authors’ Cabaret event for Arts Night Out, a monthly downtown gallery walk from 4:00-8:00 pm. Her portion of the reading will start around 7:00 pm. Visit her website to learn about her books and awards. This entry was posted in A tribute to the Holy Land, Βιβλίο της Σοφίας Κιόρογλου, ΔΙΑΚΡΙΣΕΙΣ/Commendations and Awards, Χωρίς κατηγορία. Bookmark the permalink. Absolutely stoked to be a featured poet alongside so many incredible poets! A sincere thank you to Vera Ignatowitsch Managing Editor of Better than Starbucks and Kevin McLaughlin, Susan Ye Laird, Tendai Rinos Mwanaka and Rameeza Nasim for having me aboard! This entry was posted in Best poems, ΔΙΑΚΡΙΣΕΙΣ/Commendations and Awards, Personal poems, Published work and tagged Better than Starbucks. Bookmark the permalink. Συμμετοχή με τρία ποιήματά μου. “Το Μελάνθιον το Δαμασκηνόν” δημοσιεύτηκε αρχικά στο αμερικάνικο περιοδικό Every Writer και είναι μια αγαπημένη δουλειά. Χαίρομαι που βρήκε σπιτάκι σε μια ελληνική ανθολογία. Καλή Χρονιά να έχουμε. 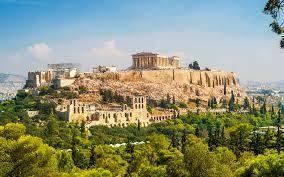 This entry was posted in ΔΙΑΚΡΙΣΕΙΣ/Commendations and Awards, News from Athens. Bookmark the permalink. The Editorial Team is pleased to announce the 2017 Best of the Net Award nomination list for Lunaris Review. Congratulations and Best of Luck to the Nominees. This entry was posted in 2017 BEST OF THE NET NOMINEE, ΔΙΑΚΡΙΣΕΙΣ/Commendations and Awards, Χωρίς κατηγορία. Bookmark the permalink. Μανχάταν, Νέα Υόρκη, 11 Σεπτεμβρίου 2001 και ώρα 7.30. Άλλη μια κουραστική μέρα ξεκινάει με το ξυπνητήρι ανελέητα να κουδουνίζει… Πόσο απεχθάνομαι το πρωινό ξύπνημα και όσο σκέφτομαι ότι άλλο ένα κουραστικό οκτάωρο θα το περάσω στο παγκόσμιο κέντρο εμπορίου 3 με πιάνει ζαλάδα. Πολλοί λένε ότι το φαινόμενο του cubicle coma που αισθάνονται οι εργαζόμενοι είναι μια έντονη ψυχολογική κατάσταση που μπορεί να προκαλέσει κρίσεις πανικού, έντονη εφίδρωση και ακόμη και χρόνια κατάθλιψη. Ο ψυχολόγος μού συνέστησε να βρω αλλού δουλειά, αλλά κάτι τέτοιο είναι αδύνατον. Χρειάζομαι οπωσδήποτε κάποιο εισόδημα και δεν θέλω να χάσω τη βίζα μου. Όμως σήμερα νιώθω μια έντονη δύσπνοια. Μήπως να ειδοποιήσω τη Σάρον ότι δεν θα πάω στη δουλειά να με καλύψει; Άλλωστε είναι η καλύτερή μου φίλη. Ώρα 11.30! Το κινητό μου τρελάθηκε. Νόμιζα ότι το είχα κλείσει. Μα ποιος είναι τέλος πάντων; Στο πάτημα του κουμπιού ακούω μια κραυγή που μου σπάει τα τύμπανα. – Έλα παιδί μου είσαι καλά; Σε παίρνω από το πρωί. Κόντεψα να πεθάνω από την αγωνία. Εκείνη τη στιγμή ήταν που σκέφτηκα τη Σάρον. Ο κόσμος γύρω μου σκοτείνιασε. Στην κηδεία της Σάρον δεν πήγα. Δεν άντεχα. Όλοι μου λένε πόσο τυχερή στάθηκα εκείνη τη μέρα. Μέσα μου όμως δε νιώθω καθόλου έτσι. Ούτε πια μπορώ να χαμογελάσω. Αφιερωμένο στη μνήμη της Σάρον που έφυγε τόσο ξαφνικά. Το μικροδιήγημα της Σοφίας Κιόρογλου δημοσιεύτηκε στο 69ο τεύχος του Βooks’ Journal Σεπτεμβρίου 2016 στο σχετικό αφιέρωμα για το Σημείο Μηδέν. This entry was posted in ΔΙΑΚΡΙΣΕΙΣ/Commendations and Awards, News from Athens, Published work, THE BOOKS' JOURNAL and tagged tovivlio.net. Bookmark the permalink. Sofia Kioroglou is a poet, a wife, a missionary, a pilgrim, and a perennial traveler to the Holy Land and Egypt. She likes to take her readers on an exhilarating tour of Jerusalem’s treasures through her poetry and to write articles on the delectable local fare in Jericho, near the Mount of Temptation, and her visits to Cana, where hundreds of couples renew their wedding vows. To learn more about her, visit her blog at sofiakioroglou.wordpress.com. This entry was posted in ΔΙΑΚΡΙΣΕΙΣ/Commendations and Awards, News and Awards. Bookmark the permalink. Πηγή: “Αφήστε τα να ζήσουν”! This entry was posted in Hephaestus Wien, ΔΙΑΚΡΙΣΕΙΣ/Commendations and Awards, News and Awards, News from Athens, Personal poems. Bookmark the permalink.